Bell & Ross WW1 Chronographe Monopoussoir Heritage - A Hidden Treasure? 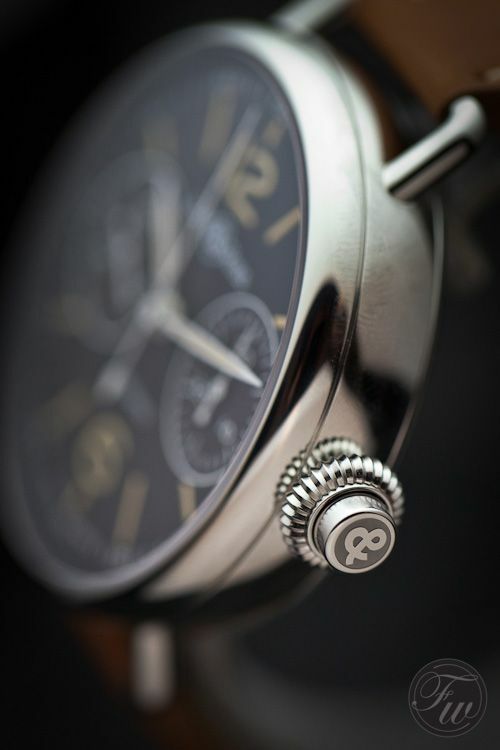 Bell & Ross WW1 Chronographe Monopoussoir Heritage – A Hidden Treasure? During BaselWorld this year, photographer Bert and I were visiting the Bell & Ross booth and one of the watches that made us very enthusiastic was this World War 1 Chronographe Monopoussoir Heritage. I am sure you’ve seen it here or here for example. The kind people of Bell & Ross showed us the entire new collection, but we had our hopes for this one, the WW1 Mono pusher chronograph. Drop dead gorgeous with its wire lugs, large dial, yellow-ish numerals and a nice ‘new’ patina on the dial. With a retail price of approx $7500 USD it was quite firm for today’s critical buyer, or should I say buyer in critical times? Nevertheless an awesome watch that makes a great alternative for some other big label brands. Anyhows, how come we don’t see it in the flesh? Is the 1920s style too dandy for most people? We love the WW1 Chronographe Monopoussoir for the reasons mentioned above, as it really stands out from the crowd. A good reason might be that it hasn’t been covered enough and it is still a hidden treasure only known to those who are somewhat more deeper into watches than average. The Bell & Ross WW1 Chronographe Monopoussoir deserves more attention in our opinion, with its wonderful and clean dial lay-out (30 minutes counter at 3 o’clock and 60 seconds counter at 9 o’clock) and 1 button operated chronograph mechanism. This watch has a pilot-worthy diameter of 45mm, an automatic mono-pusher chronograph movement and a great looking gold-braun leather strap with superb stitching. 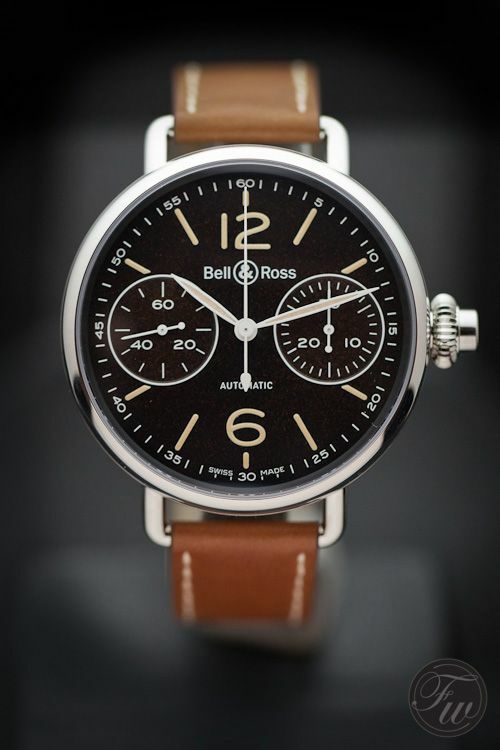 More detailed information at the official Bell & Ross website and don’t forget to visit the Bell & Ross Forum over at Watchuseek.